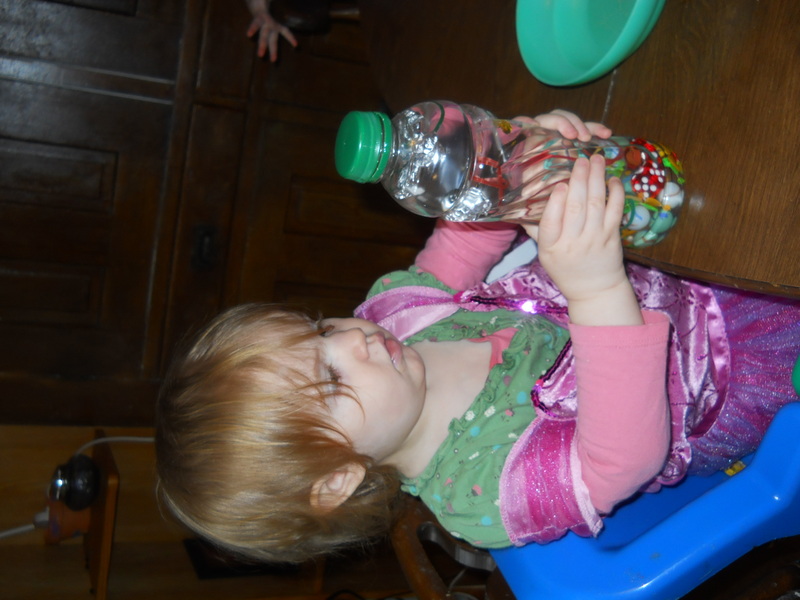 Sensory Bottles | When you have Hamberger's you make Happy Meals! 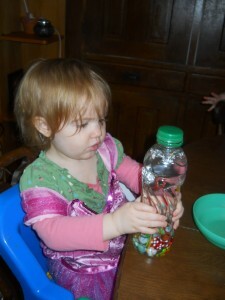 I had the kids making sensory bottles. They LOVED it. Kalea especially (which was my goal!) 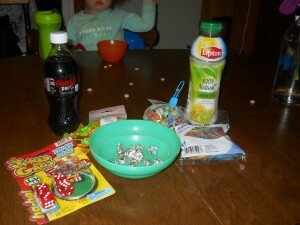 Here are the supplies I used. I had the bottles, foil and rubber bands, everything else I got in the dollar toy aisle at Dollar General. I cut the beads off the string so there was more individually to put in. 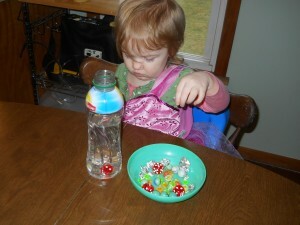 I filled the bottles half full of water then gave each kid half of the supplies to put in. Kalea was dressed as a princess for the activity. Please excuse the hair, this was a no hair-do day. Alex got a decent amount of enjoyment from the bottles. It opened up a great conversation about differences in weight, how all the heavy stuff sank to the bottom and the light all floated. 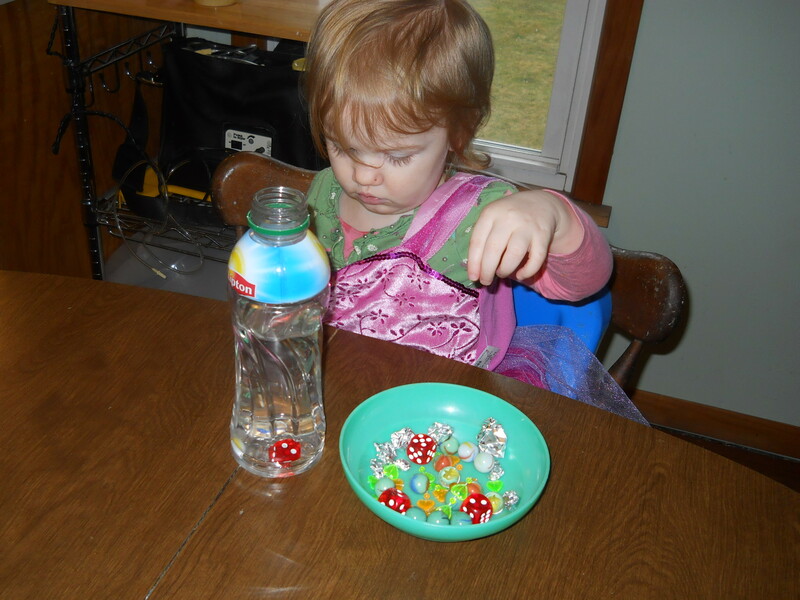 I would ask them to look for a certain color and they would turn their bottles till they found it. Kalea really really loved it, she carried with her all day, just spinning it all around and looking and looking at it. She would bring it up to Jason or me and say “show you! Show you!” because she was so excited about it. Since we did this one, I would change a few things. I would only use a few heavy items (like the marbles) and more floaty items (the foil was great!) I also found some other really fun ideas for some. 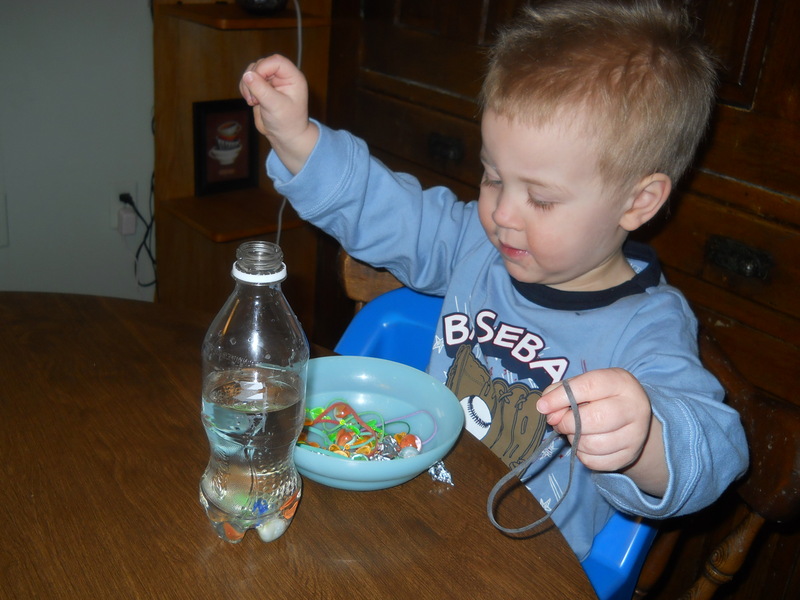 So as soon as we get some more clear bottles we will be experimenting with different types and learning different things with them. Overall: this project was a WIN! When you have Hamberger's you make Happy Meals! is powered by	WordPress 5.0.4 and delivered to you in 0.808 seconds using 47 queries.